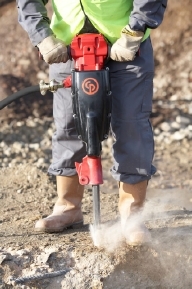 The 25 lb class (CP 0012) demolition tools are light-weight yet rugged. They are designed for light to medium construction and plant maintenance work such as demolition of floors, pavement, bridge maintenance, asphalt, frozen ground and masonry walls They are very popular for bridge deck jobs. 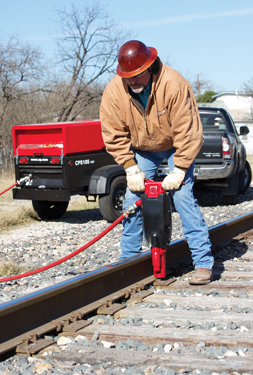 The CP 0012EX has an extended handle for trench work. 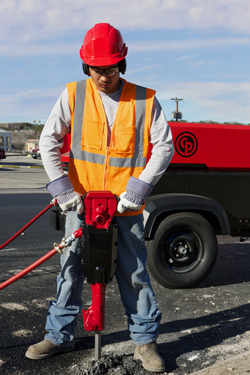 The 35 lb class (CP1210) demolition tools are light-weight yet rugged. 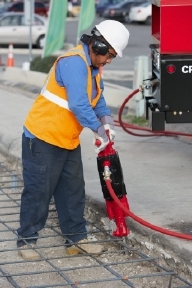 They have been designed for light to medium construction and plant maintentance work, such as light demolition of floors, pavement, macadam, frozen ground and masonry walls. These tools are also very popular for bridge deck jobs. 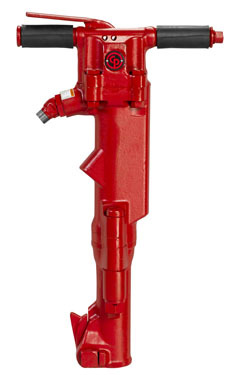 Chicago Pneumatic construction tools are known for their pioneering design, high-impact technology and durability. CP Pneumatic breakers are available in different models and sizes in order to suit a variety of applications. There is a choice of several different shanks to cater to needs in different markets. 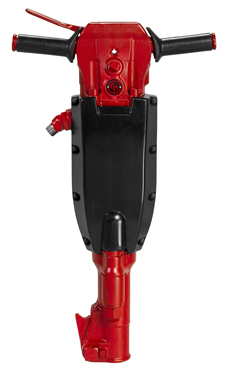 You can also choose from standard breakers, standard breakers with a muffler for noise reduction (S models) and vibration-reduced breakers with state-of-the-art vibration dampening (SVR models). All S and SVR models comply with the European Union Noise Directive 92000⁄14/ED) and are CE-marked. 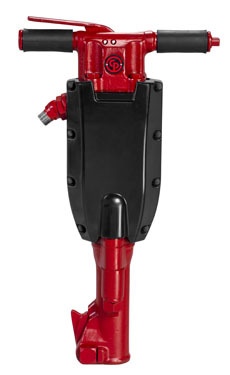 BETTER VISIBILTY - The streamlined, flatter profile of the breaker gives the operator a better view of the work area, and also makes it easier for the operator to lift and re-position the tool. 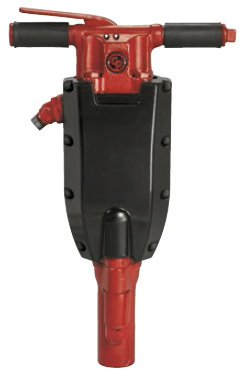 Chicago Pneumatic spike drivers are rugged, powerful tools which can be used for driving spikes in railroad, construction and plant maintenance applications. 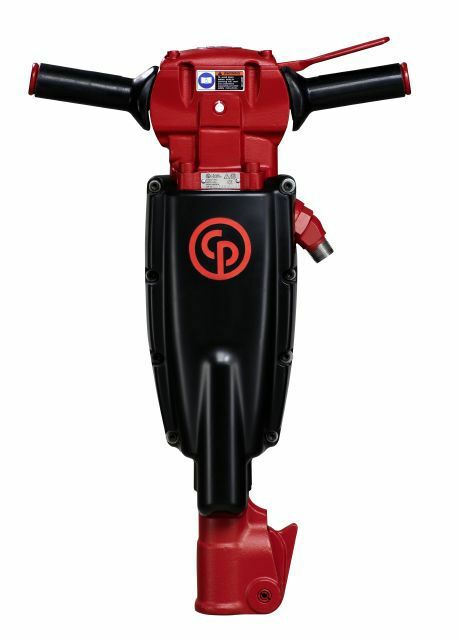 These products feature the same qualities as the CP 1260 and CP 1290 breakers except that the front heads are equipped for spike driving. Maximum spike head diameter - 1-3⁄4"
7⁄8" x 3-1⁄4" 7⁄8" x 4-1⁄4" 1" x 4-1⁄4" 1-1⁄8" x 6" 1-1⁄4" x 6"